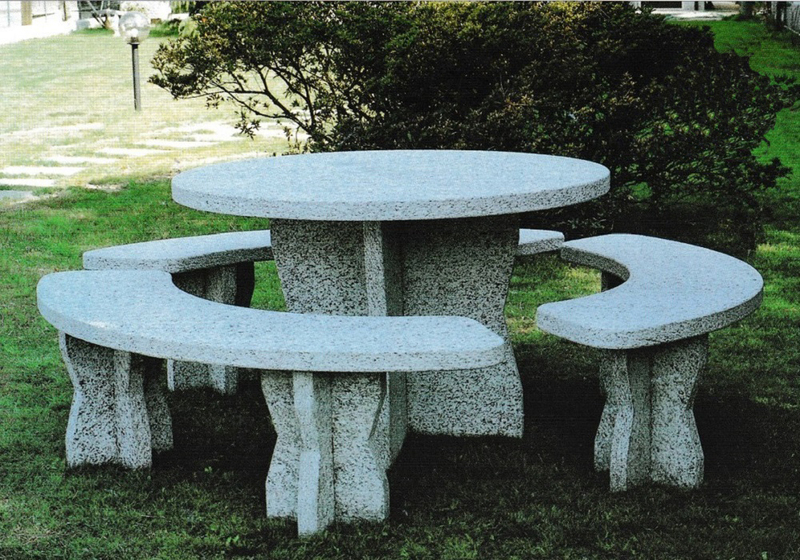 Table in sawn Gneiss granite with diameter 130 cm, weight 850 kg, circular shape, complete with benches, suitable for all external environments, very solid and enjoyable "designer", its shape is very suited for small spaces, easy to maintain. Other dimensions and supply on request. 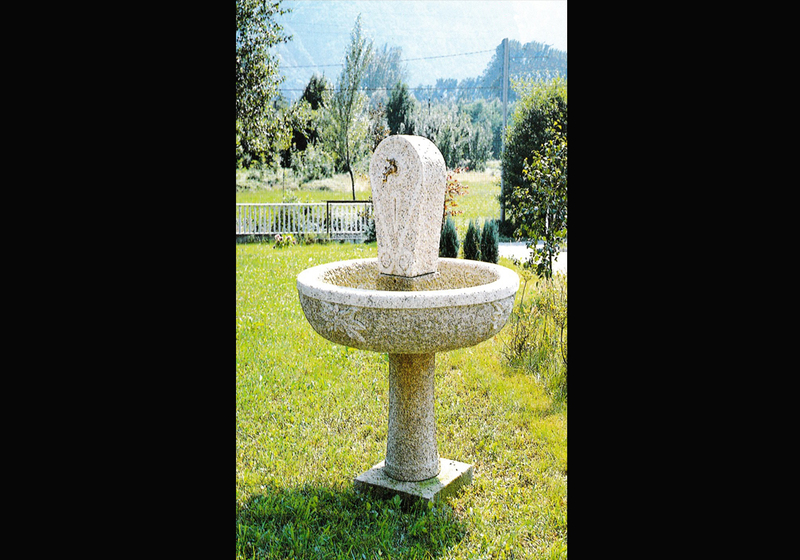 Fountain in pink granite finely and expertly crafted. Available on request. 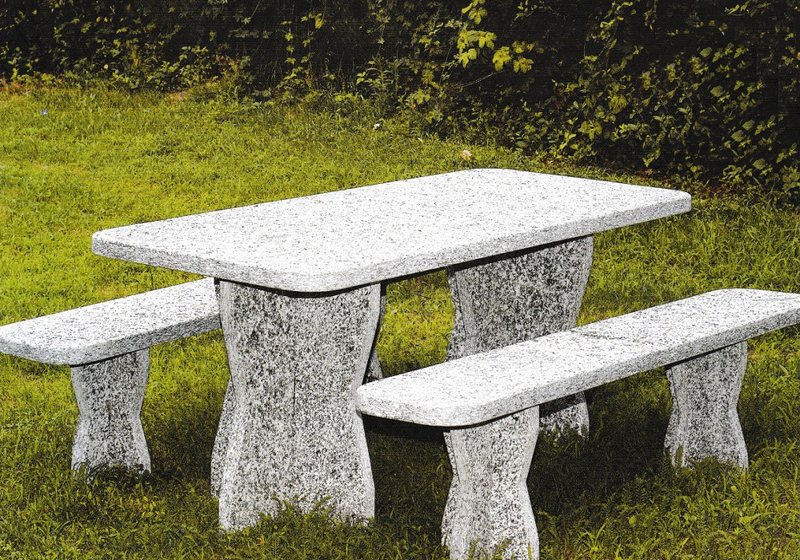 Table size 100 x 220 cm, weight kg. 900, for 8 people but takes up little space, very nice design oval. Other dimensions and conditions on request. 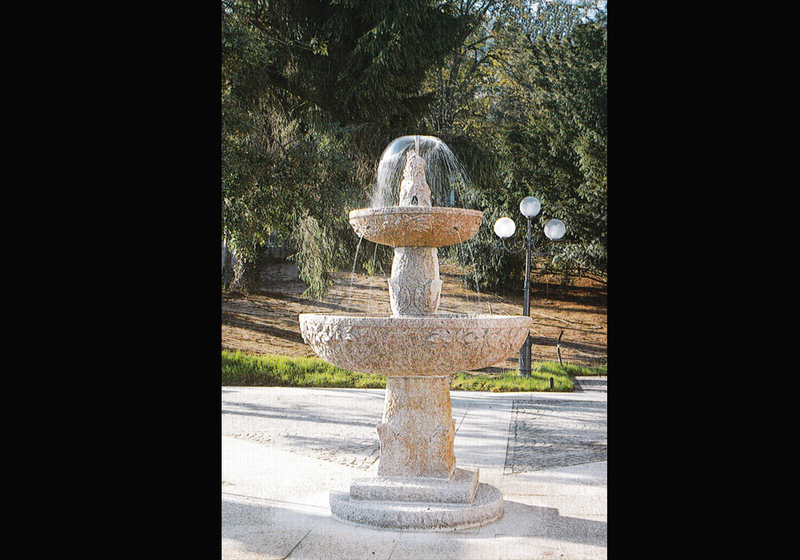 Bowl diameter 110 cm, height cm. 160. 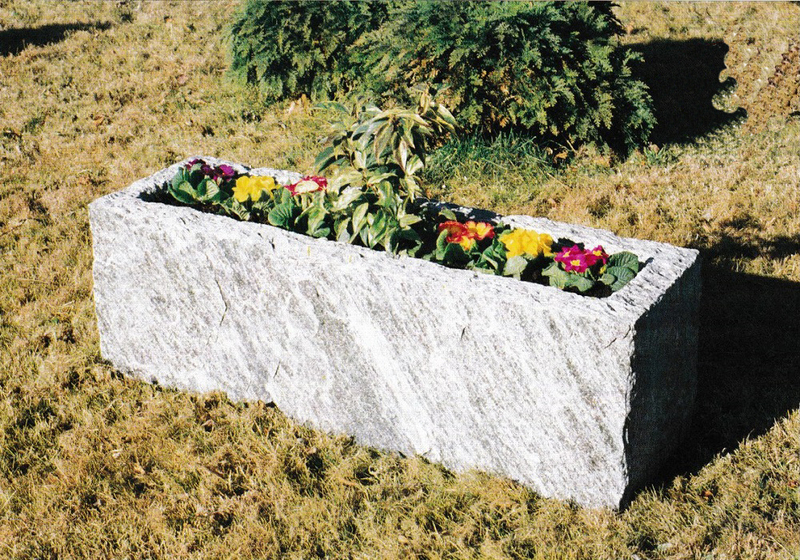 Alternative Material: Gneiss granite. Available on request. Table size cm. 200 x 90.Peso 900 kg. 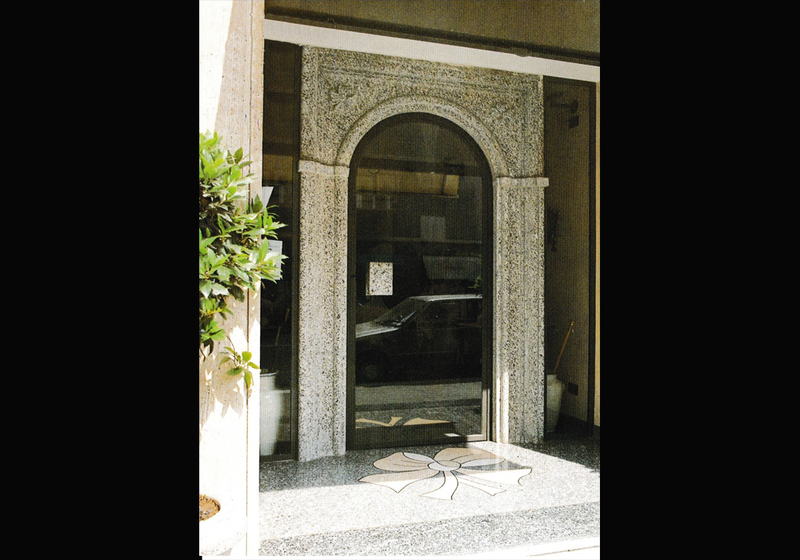 For 6-8 people, classical and pleasing shape. Other dimensions and conditions on request. 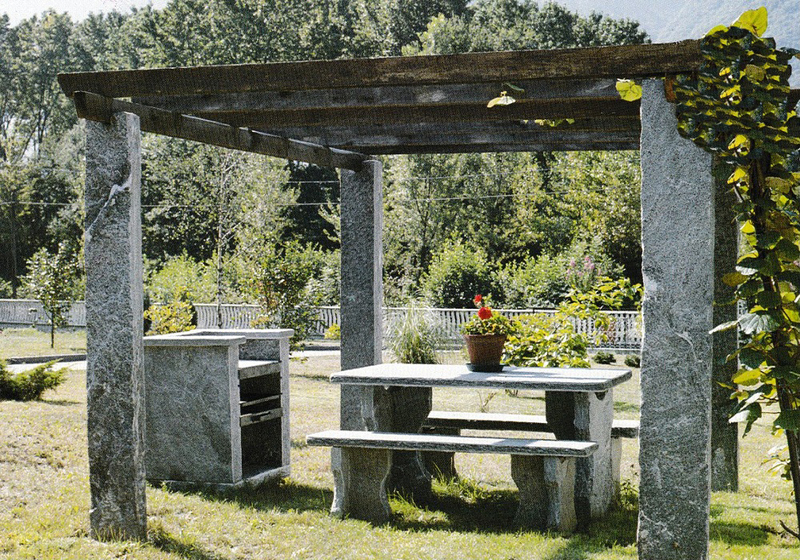 Full Pergola 4 seedlings (200 x 30 x 10) cm from the table. 160 x 80 cm. with benches. 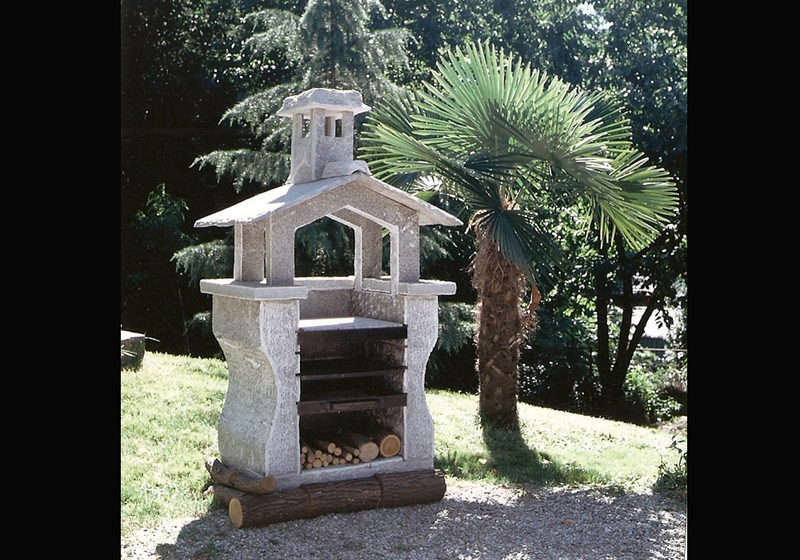 Grill complete with Soapstone plate , frame for hearths and ash drawer in pure Ticino style. 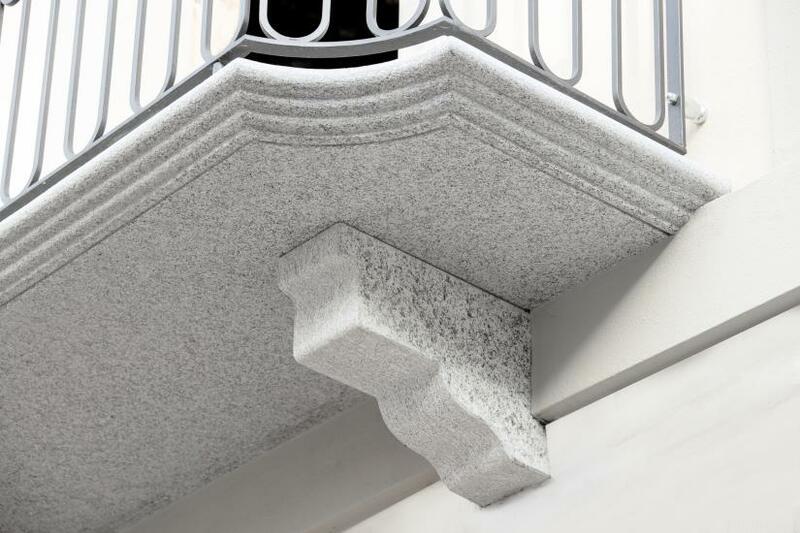 Supply and home installation on request. Tank dimensions cm. 75 x 60 cm total height. 140. Weight Kg. 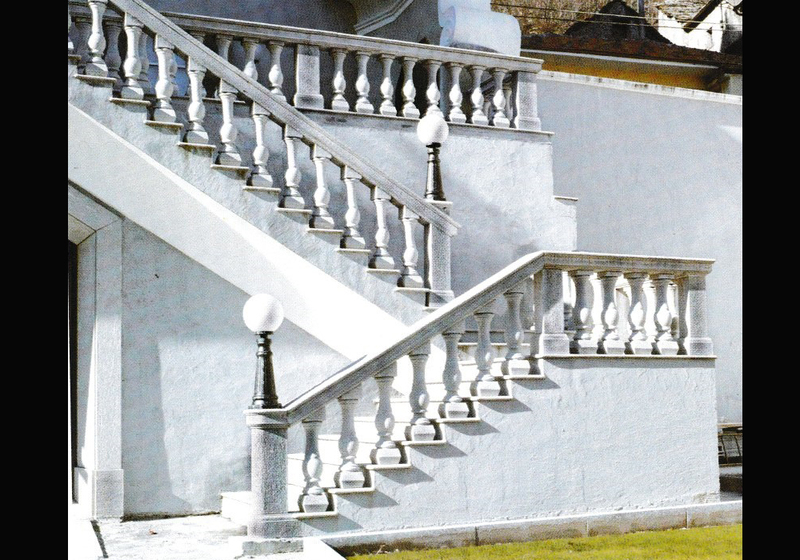 370. 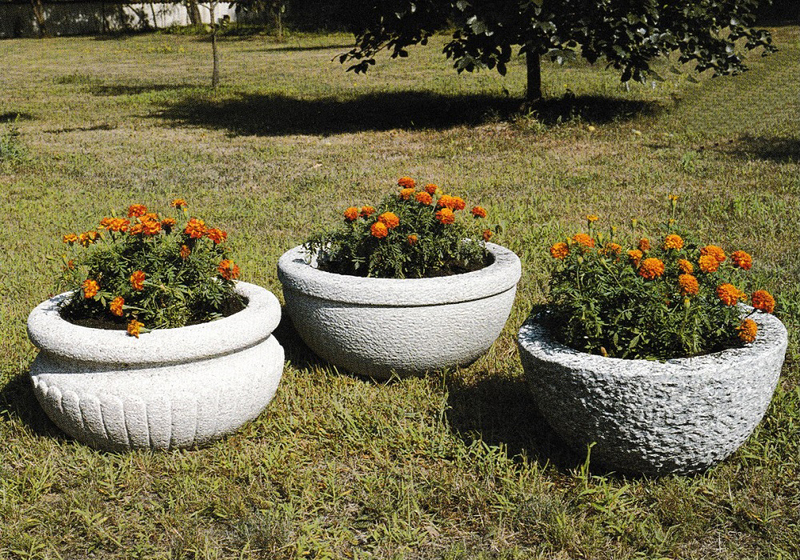 Other sizes, materials and supply on request. Bath size cm. 65 x 50, total height. 130. Weight 200 Kg. Inlaid with sculpture and bushhammered. Size and number on request. Can be bought individually. Tank dimensions cm. 100 x 55 Weight Kg. 360, total height cm.160. 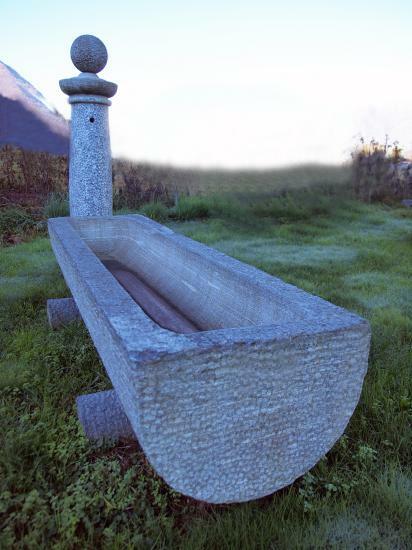 Other dimensions, material and supply on request. Dimensions cm. 110 x 35 x 35 Weight Kg. 130. Other dimensions, number and delivery on request. Tank dimensions cm. 130 x 70 x 35 cm stem size. 100 x 30 x 30. Other sizes, materials and supply on request. Tank dimensions cm. Height 80 cm. 40, total height. 135. Weight Kg. 400. Can be purchased individually. 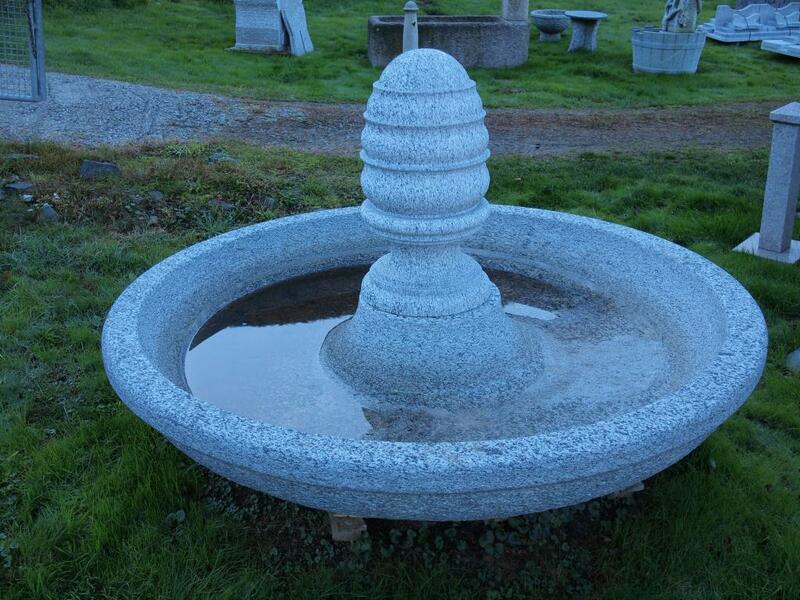 Sink in pink Baveno granite worked at the tip, with shaft and back. 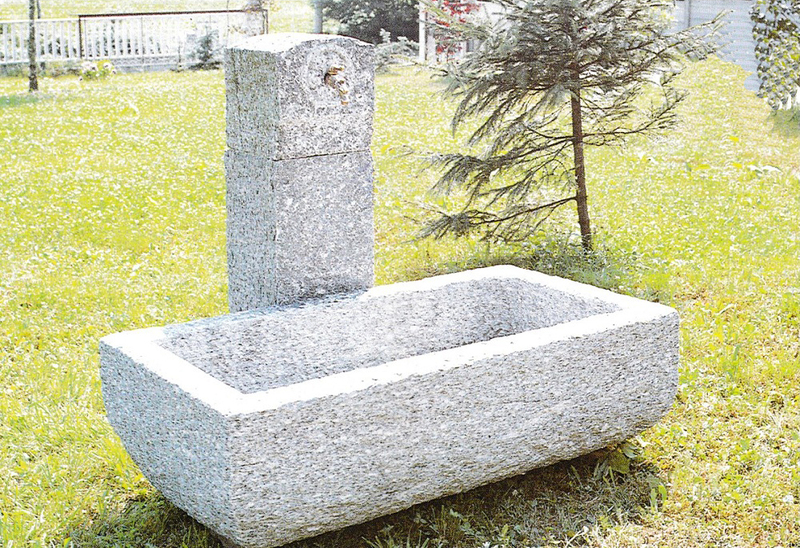 tub size 60 cm / 65 x 40/45 cm. 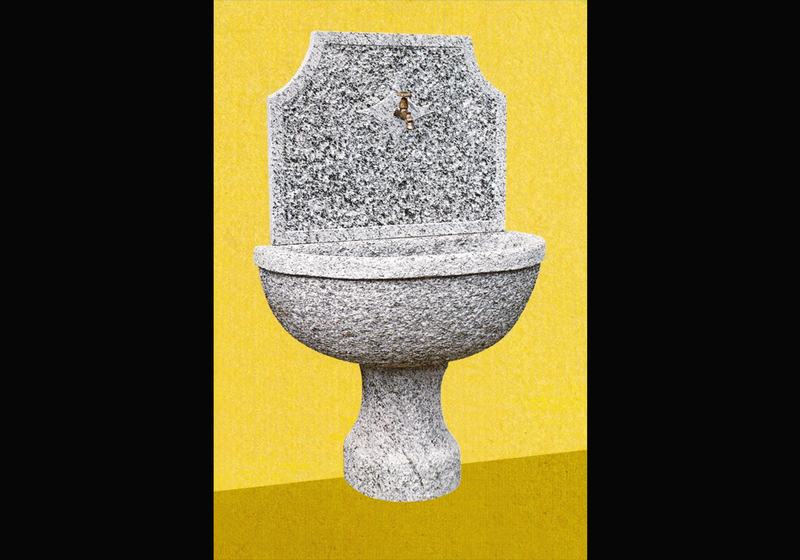 23/25 Gneiss granite sink to the tip, shank and back. Tank dimensions cm. 60/65 x 40/45 cm. 23/25 Can be purchased individually. Other dimensions on demand and supply. 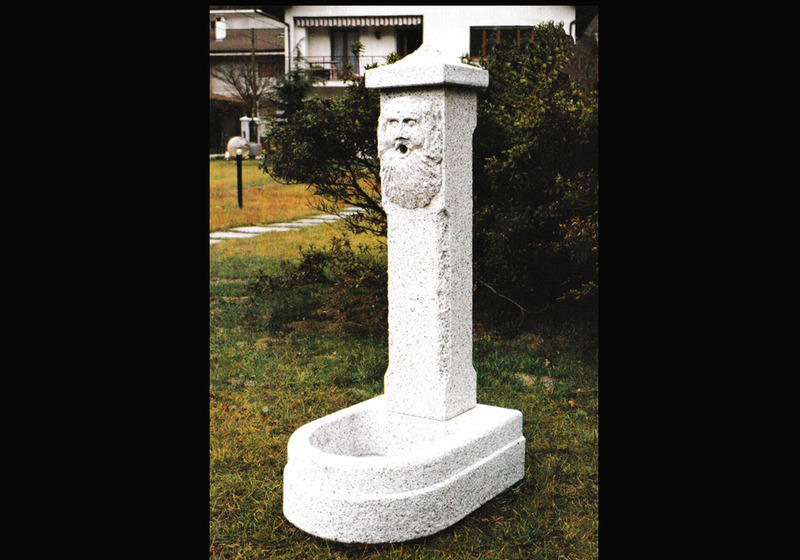 Sink in white Montorfano granite worked at the tip, with shaft and back, size tub cm. 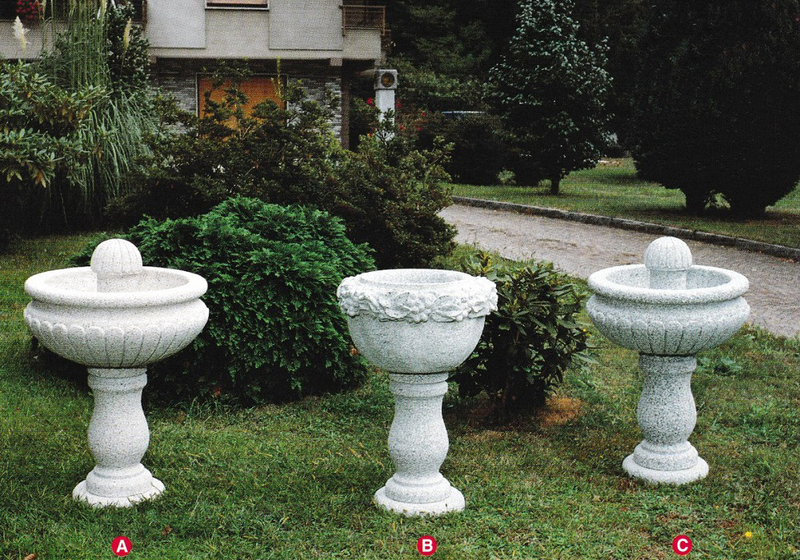 60 x 40 height 25/28 Sink in Sardinian white granite, with stem and back, size tub cm. 60 x 40 cm. 25/28. Size A / C Bath cm. 70 diameter, total height. 100, weight Kg. 230 Size B tub cm. 65 diameter, total height. 90 Weight Kg. 200. They are performed on requested design (on clients needs). 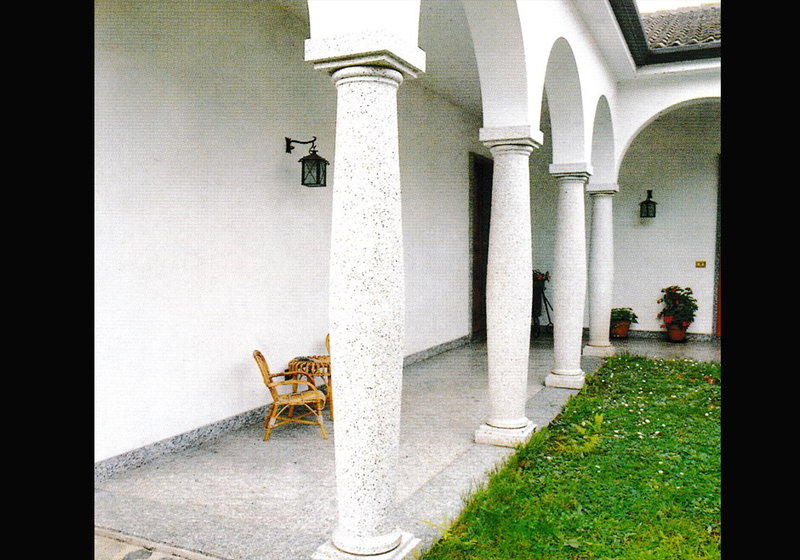 Materials: Serizzo granite, Baveno pink granite, Montorfano white granite. Manufactured design on request. Other material and supply on request. 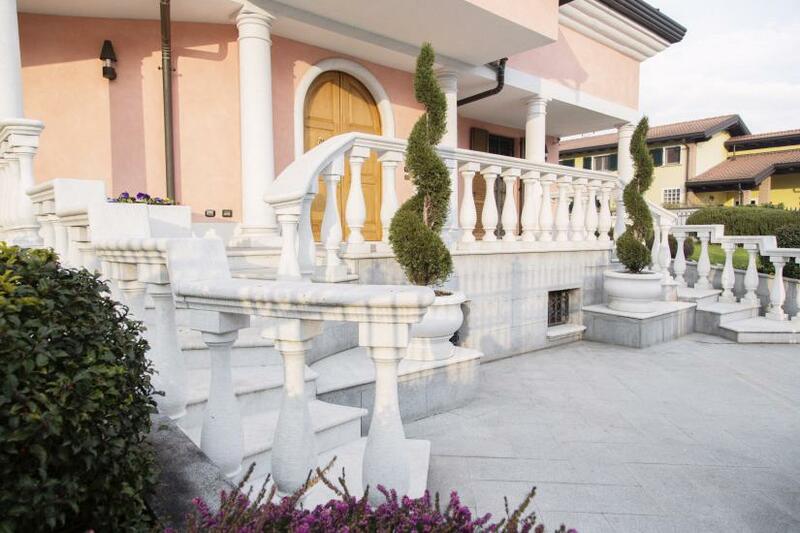 Balustrade listing on design requested. On requested design. Other material and supply on request. 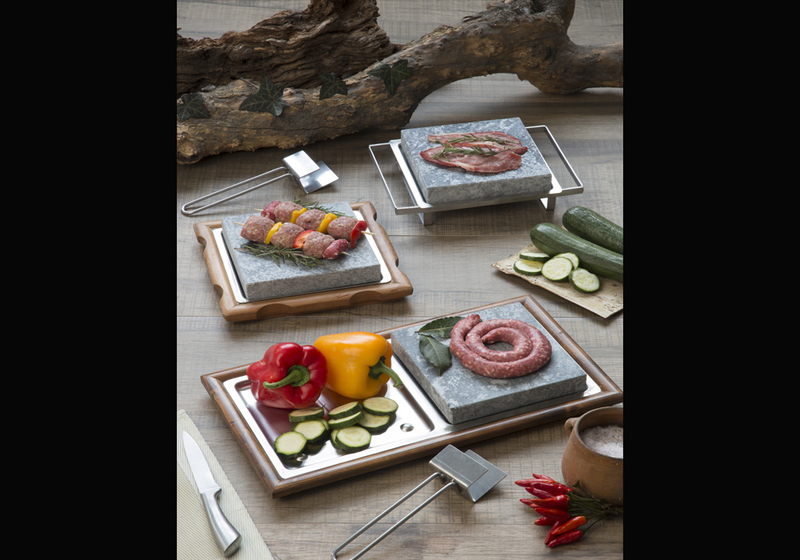 Soapstone set for cooking without fat, meat, vegetables, fish for a healthy diet. You can buy them individually. 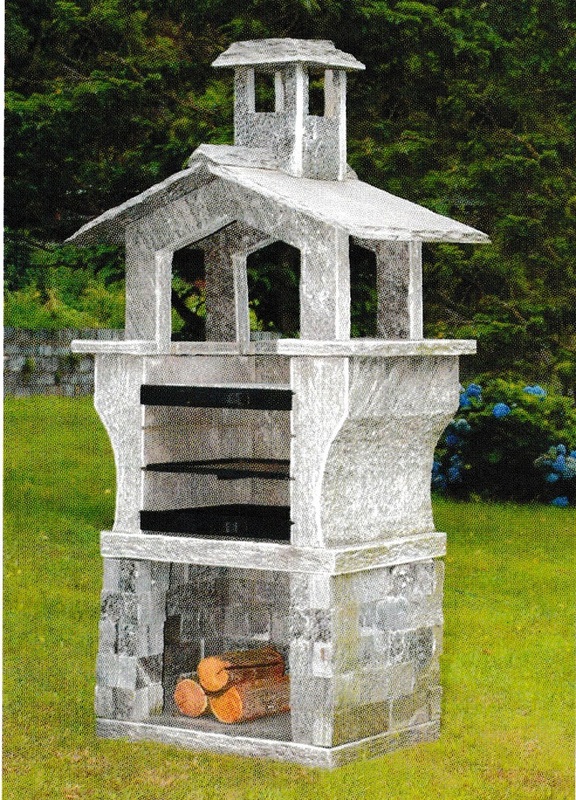 Monumental and practical grill with cooking systems with grid and soapstone, ash tray and place for firewood. Supply and / or installation on request. 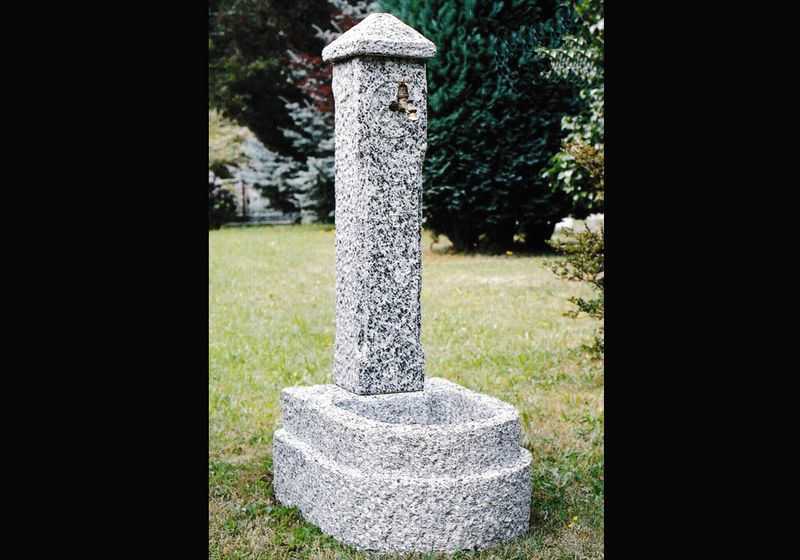 Fountain in gneiss consisting of bath size 100 x 70 x 35 cm and 105 cm column height, weight 530 kg. In option 2 joists serizzo to support 70 x 8 x 8 cm. Supply and assembly on request. 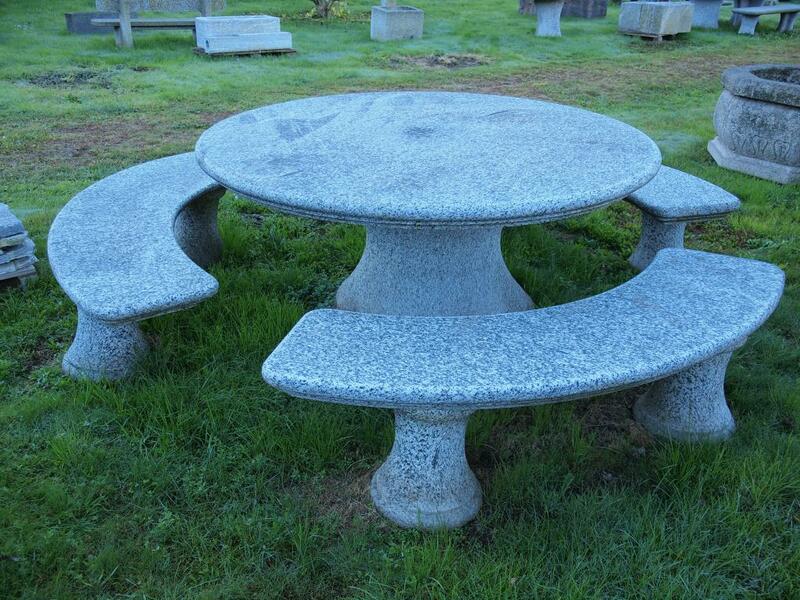 Majestic, solid and practical circular table serizzo diameter 170cm, h 8 cm, complete with 3 benches. Characteristic and monumental fountain watering hole in gneiss gray at the tip. 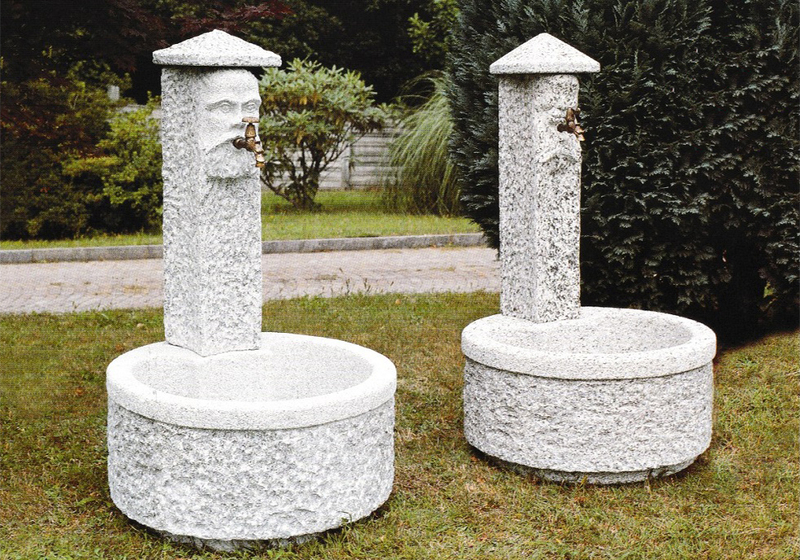 Bath size 235 x 65 x 45 cm, height 140 cm column, supplied with 2 pedestals like hooves. 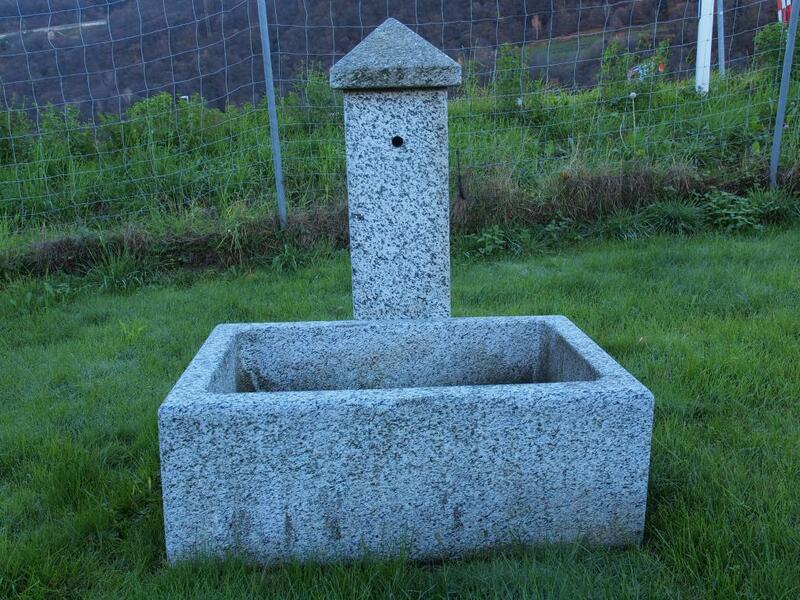 supplied with 2 pedestals to support 100 x 10 x 10 cm. 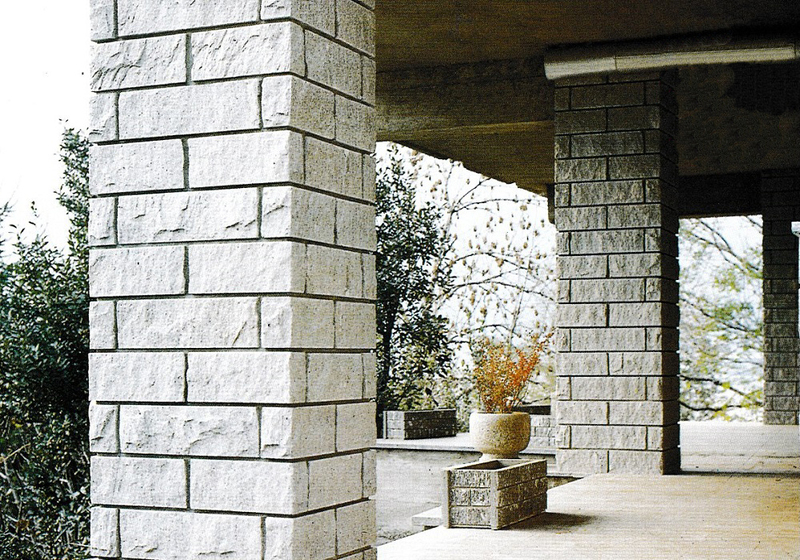 Execution of design, supply and prices on request. 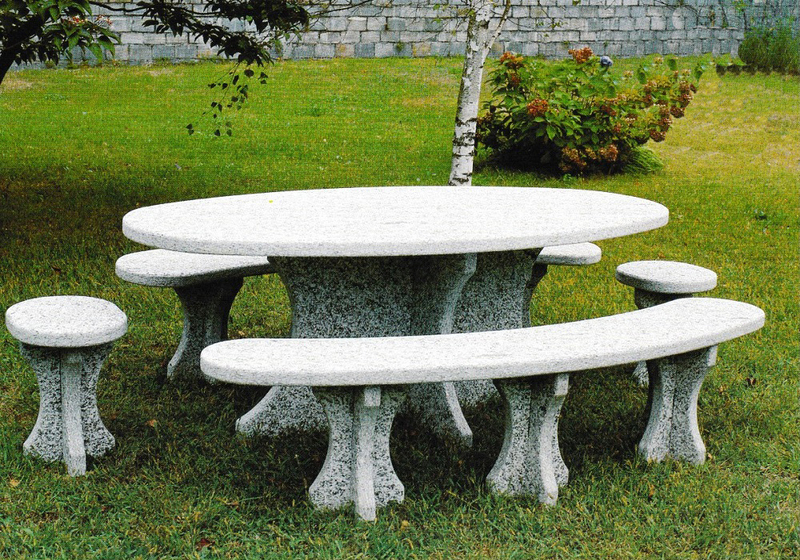 White granite, pink granite, serizzo. 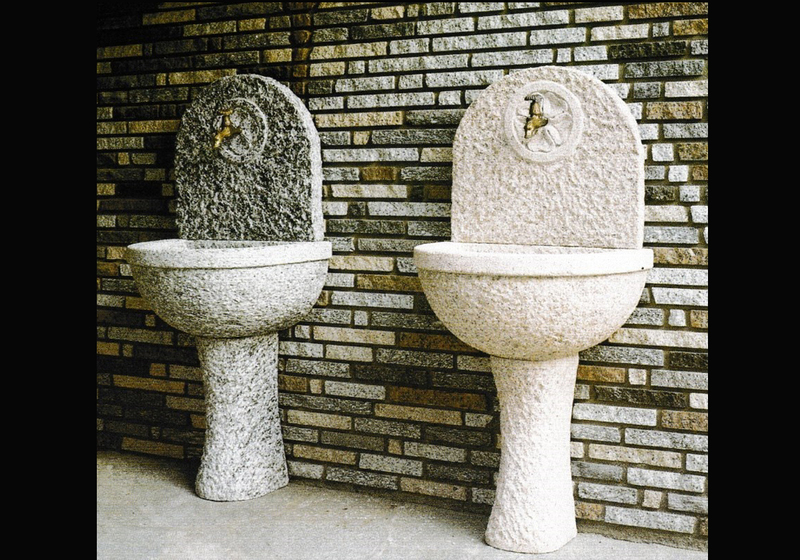 Floor in white granite, serizzo on demand, pink granite. Execution of design, price and delivery on request. 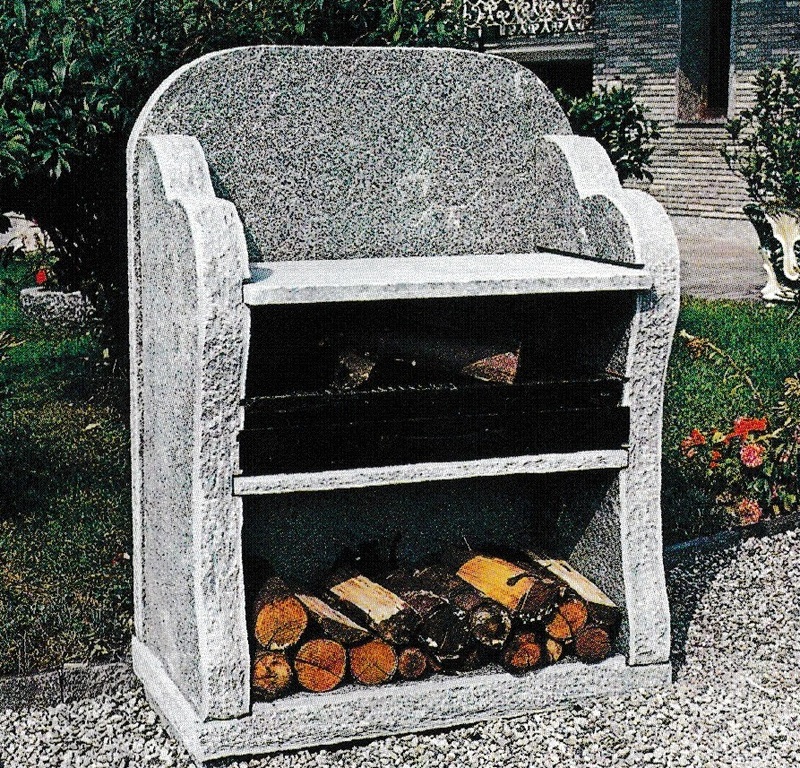 Grill in splitted gray Gneiss , stainless steel sets for long life and ease of maintenance, soapstone for healthy cooking, surface floor grill and soapstone 75 cm, simultaneous cooking, wood or coal compartment. 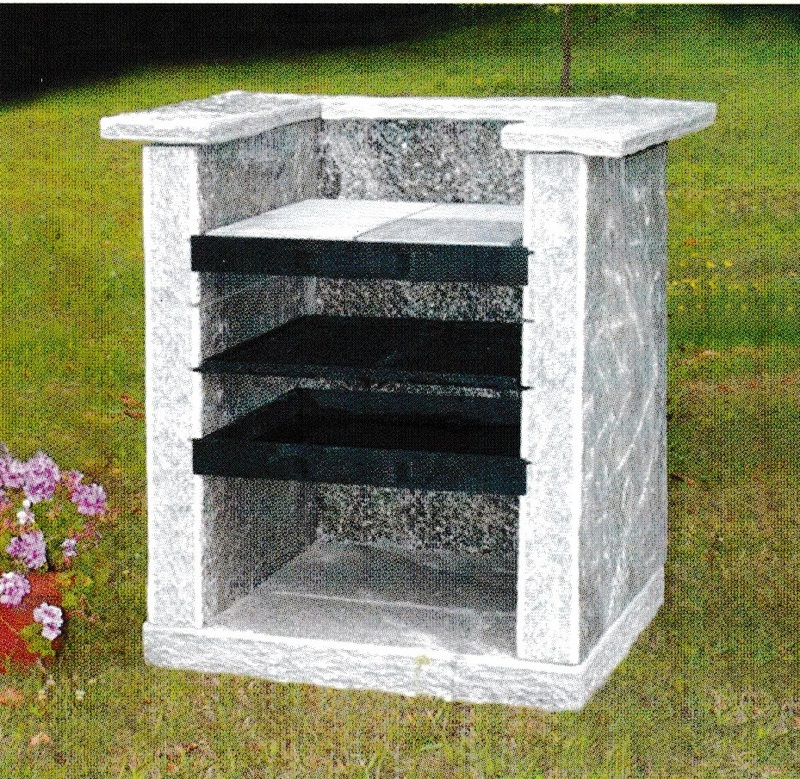 Grill in splitted gray Gneiss, stainless steel sets for long life and ease of maintenance, soapstone for healthy cooking, the surface of the grill and soapstone is 100 cm, compartment wood or coal. 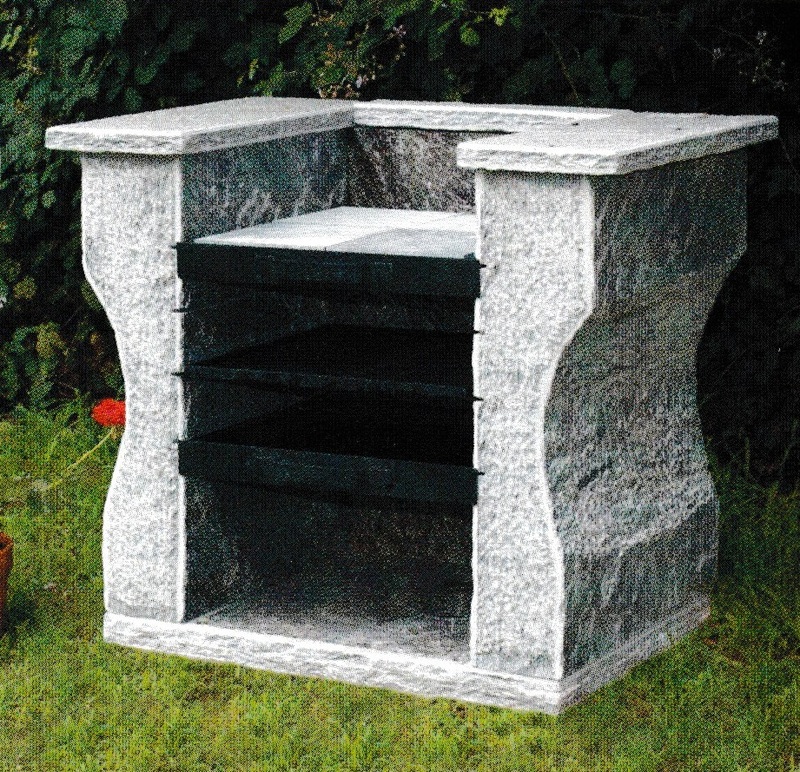 Grill in splitted gray Gneiss, stainless steel sets for long life and ease of maintenance, soapstone for cooking healthy foods, surface grill and soapstone cm stone. 75, compartment wood or coal. 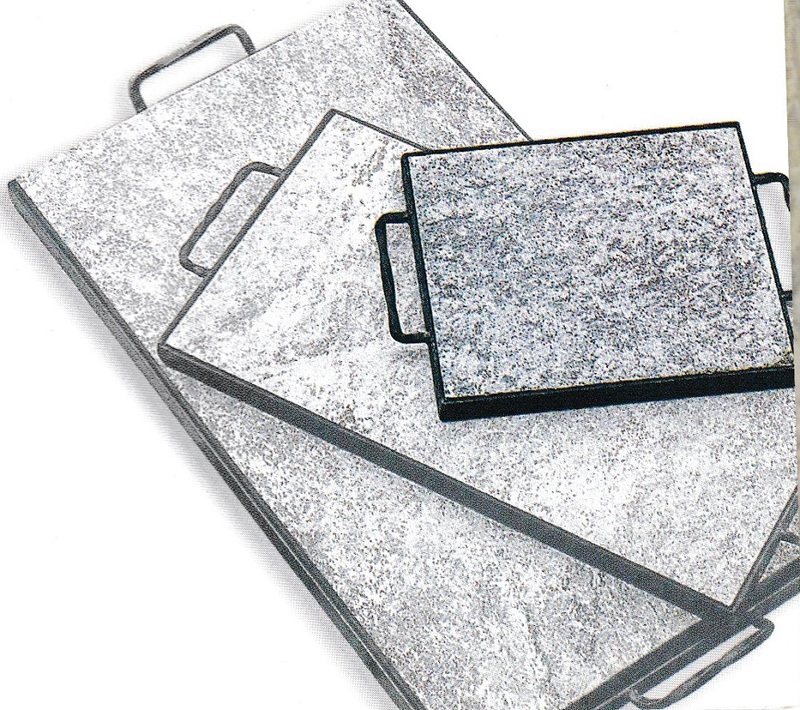 Grill in splitted gray Gneiss, stainless steel sets for long life and ease of maintenance, soapstone for cooking healthy foods, grill surface and soapstone cm stone. 50, compartment charcoal or firewood. 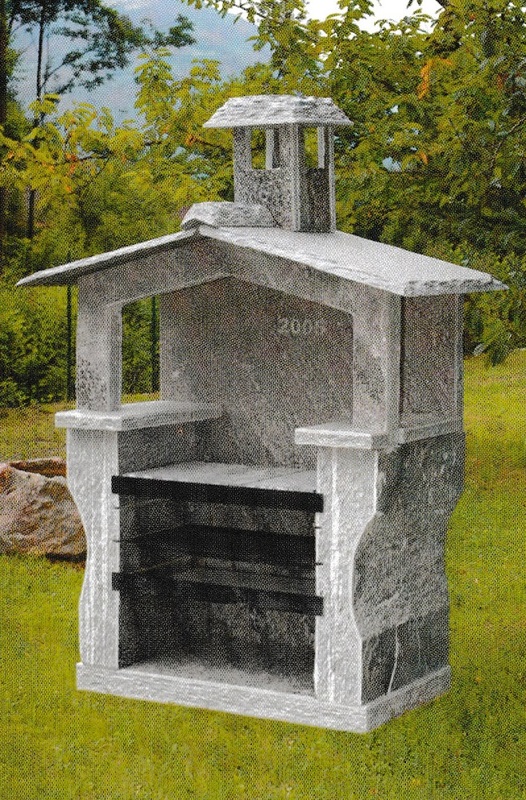 Soapstone with iron frame dimensions: cm. 30 x 25 x 2 35 Fr. 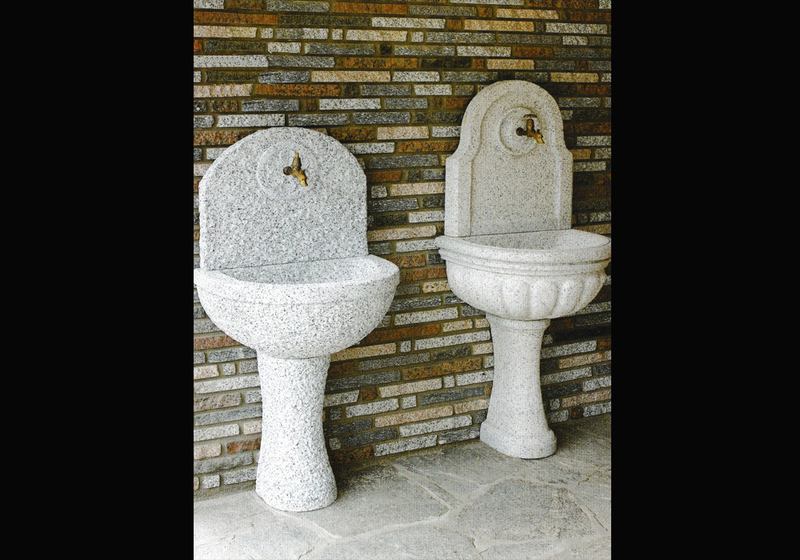 Soapstone with iron frame dimensions: cm. 40 x 25 x 2 45 Fr. 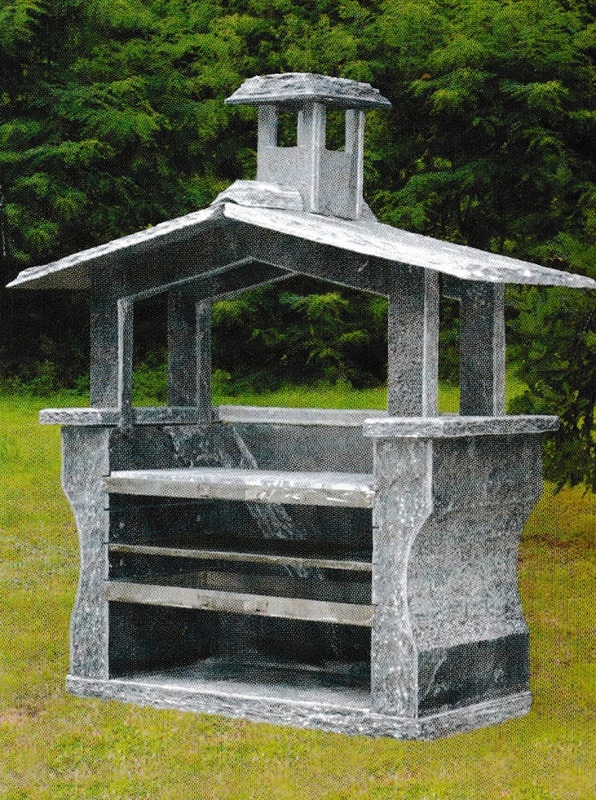 Soapstone with iron frame dimensions: cm. 52 x 35 x 3 68 Fr. 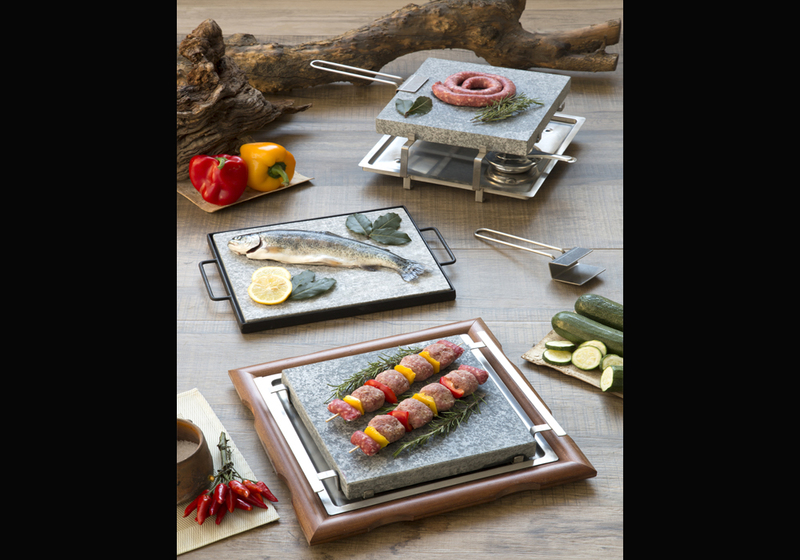 Grill in splitted gray Gneiss, stainless steel sets for long life and ease of maintenance, soapstone for healthy cooking, the surface of the grill and stone to be able soapstone is 50 cm, cooking takes place simultaneously, wood or coal compartment. Delivery and installation on request. 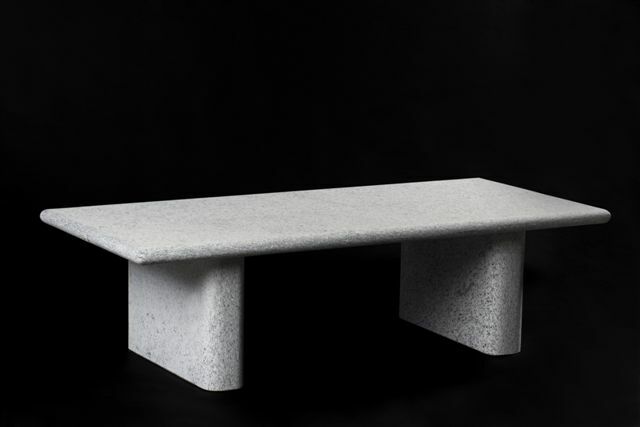 Street furniture Bench in natural stone! New! 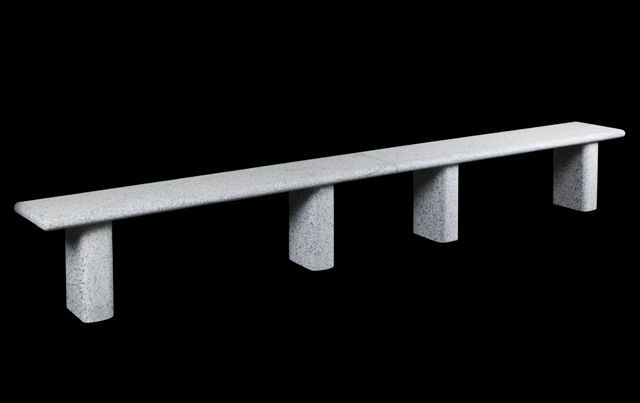 Bench for urban furniture in natural stone, new design with a bevel at the corners, to make it safe from bumps, polished flat mirror to avoid accumulations of dust and other materials for a safe and easy hygiene maintenance. The bench is carried out in two parts with four carriers. The bench is carried out in two parts with two carriers.